It seems to me learning how to use the terminal is a prerequisite to learning how to use Ubuntu. So I'm trying to figure out the best way to learn. Is there a Quizlet online flash card set out there? A better way? Every time you open the terminal you will learn something about a random command. Whenever you get bored, you can type in terminal: ? (followed by Enter). It's like playing dice by yourself. I used to play with whatis. It's not exactly a game, but it's a relatively easy way to learn. Before I execute any command, I hit it with whatis first. I learn what I'm going to do, then I will do the command with confidence. If whatis doesn't provide much information or if it's unclear to me, I will go to and read the man. Yes, Terminus is once such game that will help. There is a live version here, and the code is on github. It's a neat idea, although I rather wish the code was more easily extensible. I do not know of any games, however there are some useful command line utilities that help. What does a command do? $ man -k "remove empty"
#   use --and to only print results matching multiple keywords. # use '?' key to search, and 'q' to quit. These may be in the form of command -h, command --help, command -?. If you have something specific you need to accomplish, Google is your friend. Otherwise there are many books, such as the Bash book from O'Rielly. You can browse some cool command line snippets, and if you want deeper understanding you can read the manuals of the commands they use. Ubuntu was designed to be very user friendly. Learning how to use the terminal is not a prerequisite to learning how to use Ubuntu. It is, however, if you want to become a power user or troubleshoot problems yourself. Please note that this tutorial uses Red Hat (another Linux distribution) and references some directories that only apply to students of the University of Surrey. You've got tons of games on http://overthewire.org. The easiest is Bandit, "aimed for absolute beginners". The Memrise Tool has a unix and linux command line section. It's a great tool for learning anything in a punch card manner. The Linux Documentation Project is having the best and updating sources for learning BASH. There is the game Uplink. It's been quite fun and threre are pretty good similarities to a linux shell. But it's got its own commands as well. I use create cards in Anki that require me to type the answer, rather than simply a flash card. It builds the muscle memory. Additionally I perform 15 minutes of training every morning and Anki will sort my cards based on the ones I need to review. In the early UNIX days (v6 and v7) (yes before Linux), there was a series of very simplistic tutorials under the command called learn. I must admit, I started my training there .. it had tutorials on command line, vi, and a little bit of C programming. It has long since disappeared. And of course, this was before the proliferation of books on this subject, the high amount of easy internet connectivity, basically all you had was basically the man pages. So now it is quite easy, basically go to Google, either find some documentation posted. Or use amazon to find an appropriate book. Amazon even has ratings and reviews on their books. I don't know if there is still a distro that is installed via command-line, as I stopped working with Linux till a month ago, when I found out they finally made the step to getting GUI-based and interesting for Users, great thanks to all programmers out there, that made a lot of my old PCs useful again!!! Stupid MS simply IS too stupid for maintaining their best product any longer...Windows XP...a company that does that, surely is not considering to get an OS fully stable and safe...and in case of Win 7 they may got it very stable and secure, but it takes way to much resources to do so. Really love the Linux way off controlling hardware without huge compilers or interpreters or other stuff in the way, like on Windows. But if you want learn more about Linux, Gentoo is a great way of building up your own system, step by step and also learn how Linux works. Gentoo also is able to run on nearly everything, no matter how small the hardware resources, so you can take a other, older PC for these Linux, install-test, fun times! Not exactly a game, but there is this site, where you can learn several different commands. It covers sed, awk and grep besides others and shows you how to count, sort, compute ngrams etc. It has exercises and all. I've referred to it again and again. The matrix for game cube is where I learned quite(relative to my 13 year old prior knowledge) a bit about the UNIX terminal. There was a mini-game where you'd "hack" your way into the matrix to drop guns off for pickup later when you are playing that level. Actually bar far one of my favorite features of any game ever. Not the answer you're looking for? Browse other questions tagged command-line games or ask your own question. Can anyone give me a list of commands I can enter in the terminal? Is there a way to detect which workspace you are currently in from the command line? 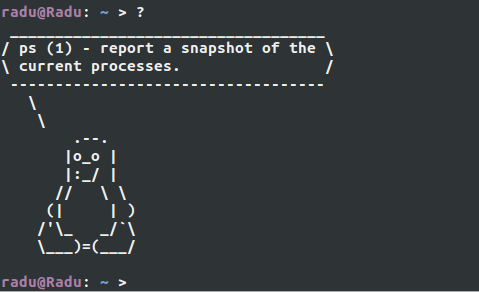 Best Way To Start Learning Shell Commands in Terminal? Is there a terminal commands cheat sheet application? How can I tell which commands are deprecated? Which is the best way to learn terminal in Ubuntu?